5* inflatable photo booth hire with color changing LED lights, instant prints, hilarious props, fun photos and endless entertainment. The UK’s premier photo booth hire company. We specialise in birthday party photo booth hire all over the UK. 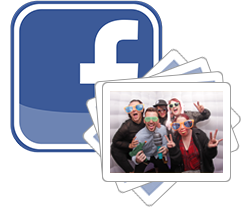 We customise each photo booth hire to suit the event. To book, please fill out the online booking form here: www.itsyourphotobooth.co.uk/book-us. Should you have any queries please do not hesitate to ask, we look forward to hearing from you. Fun 5* inflatable photo booth hire company. Our affordable photo booth prices are a fantastic way to get everybody mixing together while creating fun memories. Instant prints, hilarious props and endless entertainment. Sign up today to receive our latest news and we'd love to send you exclusive offers.